The English Schoolhouse: K is for Kahlo is HERE! Our 9th Published Book! 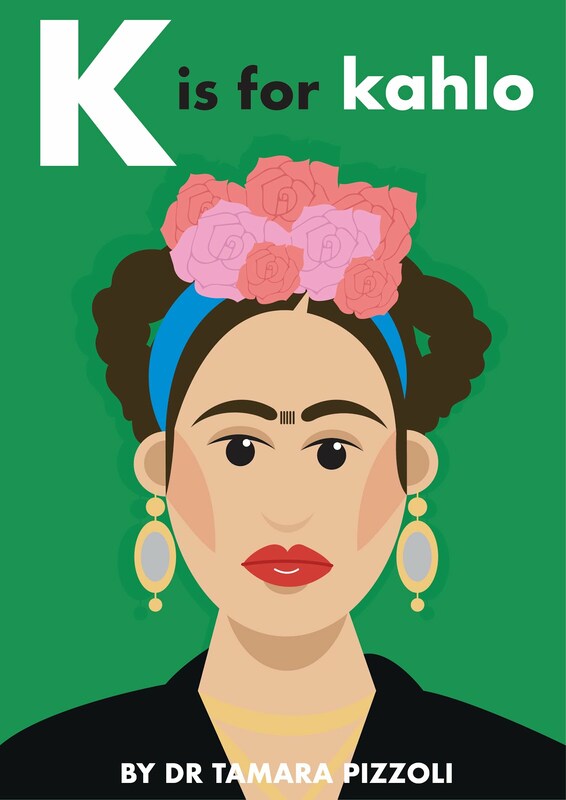 K is for Kahlo is HERE! Our 9th Published Book! I'm a sucker for a solid concept and great art that brings it to life. 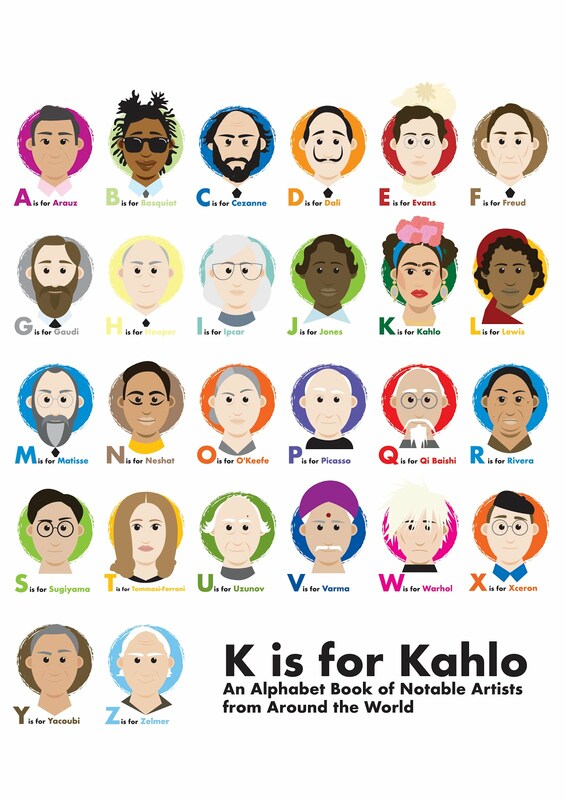 For a couple of years I've had the idea to create an alphabet book for kids (and adults who are into incredible art) based on notable multicultural artists from around the world. Last month while discussing some other projects with Howell Edwards Creative, who have illustrated six other books for The English Schoolhouse, I happened to just mention this idea I'd put waaaaay at the end of my 'to do one day' list. Phil, who's the creative director for the graphic design company, replied "Let's do that now!" And a month and some change later, here we are...published. And here's the back cover of the book. Of the nine books The English Schoolhouse offers, this is definitely a favorite. 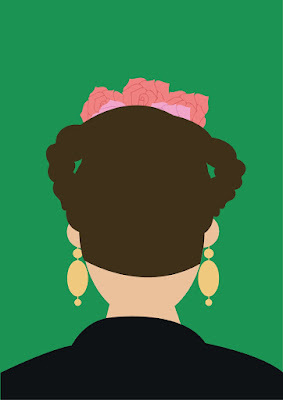 I enjoy the idea of it being a sweet love note and nod to my favorite artist, Frida Kahlo, and that Phil's art aesthetic is so simple and genius and color-rich that it'll make readers (I hope) eager to turn the page, and then reread again and again. It's not dedicated completely to Frida--inside readers take an artistic tour of the abc's--B is for Basquiat & P is for Picasso...even my dear friend and a master Italian painter with whom I collaborate often, Elena Tommasi Ferroni, is featured as letter T.
Recently an editor at a major publishing house who caught a glimpse of the book while it was still in the making succinctly commented, "I *love* seeing artists of various races, ethnicities, and genders represented here. Not all great artists were dead white men, although that's what one might think strolling around many museums." Readers can expect to find familiar monikers as well as some names they might not be familiar with, like the African-American/Native American sculptor Edmonia Lewis, whose brilliant talent led her to achieve fame and fortune nearly a century ago in Rome, Italy. (I happen to live just on the same street as the studio where she was an understudy and have coffee at the museum/bar nearly every morning--Canova Tadolini. Have a look at the list of artists featured on this cool poster Howell Edwards whipped up and see if you can spot your favorite artist, as well as a few you might want to learn more about. all orders placed through The English Schoolhouse before August 25 will be signed by the author, me. I hope you enjoy reading it as much as we enjoyed creating it.